While in College or in Universities, its a good thing for a student to face his/her studies but i think the world is changing fast and many schools even give student room to work part time to earn some money. There are part time jobs a college student or an undergraduate can do to make money without investments at free time or while working from home. We will be listing some recommended online jobs and money making ideas for student or undergraduate to do and make money while at home without investing any huge money. 1. Baby Sitting - This is an opportunity or ways for students to make money on a part time basis without capital investment. Baby sitting is almost the fastest way a college student can make money from home with or without credentials. You only look around in your area to see if family members, friends, neighbors needs your help or you post on classified ads site based on your or area. 2. Teaching - Students can make money for themselves engaging in teaching. It may be inform of a home/private teaching or write applications to lower grade school in your area. It requires no form of investment and undergraduate are also employed. 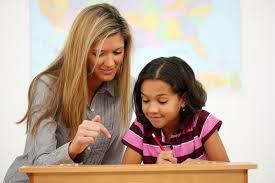 There are schools around, approach the owners and see if you can be employed to teach their students. 3. Crafts : If you want to earn money as a student or as an undergraduate, then you can create some craft and sell it to your fellow students or teachers, they will buy. Beautiful craft attract buyers any day and you may even even list your craft online through sites like Craiglist, Ebay, Amazon etc. Crafts like furniture, beads, jewelries, shoes, bags,local caps, wooden stuffs etc do get sales from people. In short, it means sell your hand work to people and earn money without any serious investment but you love doing best. 4. Article Writing : Another way to make money without investment as a student is to start making money writing article for companies or people who own blogs. This is part of an online business which pays people right now. Students can also write articles, send emails to people who wants it or post the articles online to make money from it. Students can also make money without investment through blogging although it may take your time to make money through this method but you can start building your blog earlier. 6. Paid Surveys : I always see paid surveys as an old method of working online to get paid without investment. Student can partake in online surveys only if they are located in areas like US, UK, CANADA. As a student, you do not need to invest your money, just register with reliable paid surveys panel. What you do is to start answering question and getting paid for it. 8. Sell Something: As a student, the only way to make money without investing money is to sell something. You need to sell a product, see a craft, sell a services, teach your fellow student, sell materials to them and earn money. You don't need to invest excessively but to sell either used or unused items for cash. These are ways a student can make money without investment, very cheap and you don't need huge capital to start the business. Thanks for reading.